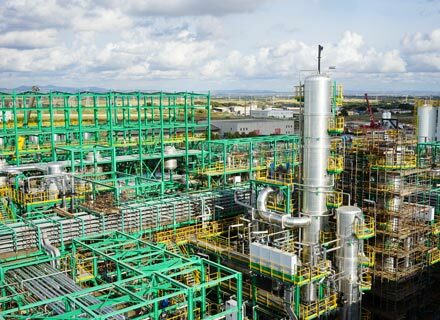 Matrìca is a 50:50 joint venture between Versalis, the leading Italian manufacturer of petrochemical products, and Novamont, a global force in the bioplastics sector. Matrìca's renewable products are derived from raw materials of vegetable origin, and come into being by means of an innovative integration of agriculture and industry. We want to be at the forefront in defining strategies on sustainability through the pursuit of objectives designed to combine growth and sustainable development. the science forward and achieving technological innovation. Green chemicals make the chemical industry more competitive, setting in motion a virtuous circle which involves respect for the environment and a confident approach to the future. The commitment of Versalis and Novamont is geared towards research and innovation and involves the conservation of the planet’s resources and safeguarding the quality of life of its inhabitants. In order to achieve these objectives, versalis in partnership with Novamont, the leading company in the bioplastics sector, is build in Porto Torres (Sardinia) the world’s largest and most innovative integrated green chemicals plant, a new economic model which will involve industry, agriculture, environmental and local government agencies in a large-scale redevelopment and innovation project.